Professor Dato’ Dr Ravindran Jegasothy is the Dean of the Faculty of Medicine, MAHSA University, Kuala Lumpur. He served 35 years as an obstetrician &amp; gynaecologist with the Ministry of Health, Malaysia. His main area of interest was maternal and perinatal mortality reduction. He was closely associated with quality improvement activities in Malaysia. He has shared his experience in these areas as a technical consultant with WHO as well as IPPF in North Korea, Kampuchea and Vietnam. He has published extensively in scientific journals and presented in many international conferences. He was awarded the Distinguished Community Service Award by the International Federation of Gynaecology and Obstetrics (FIGO) in 2003. Presently, he is on the International accreditation panel with ISQua as well as a councillor and surveyor for the Malaysian Society for Quality in Health (MSQH). He is the current secretary of the Asian Society of Quality in Healthcare. 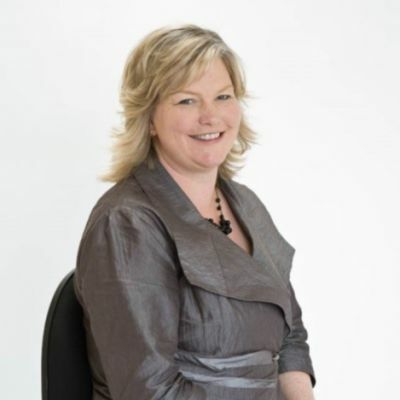 Barbara is an independent Health Quality &amp; Business Development Consultant. Contracts have included onsite surveys/performance assessments or mock surveys of accreditation and certification organisations; development of healthcare quality standards; development of assessment and other quality tools, manuals and training programmes; assessor/surveyor training; development of health strategies; comparative studies and other assessments related to healthcare quality. She works mainly internationally, especially for developing and transitional countries.&nbsp;&nbsp;&nbsp;Barbara was previously the International Accreditation Manager for&nbsp;ISQua&nbsp;and was responsible for the development and expansion of the International Accreditation Programme for healthcare external evaluation bodies for their standards, training programmes and organizations, including development of standards, principles, assessment tools, policies and processes; training of surveyors, assessors and clients; presentations and workshops at international meetings and conferences; survey and assessment processes; reviews of the adequacy of national health standards prior to application for formal assessment; standards assessments; reviewing assessment reports; and provision of advice, support and guidance on standards and external evaluation processes to healthcare external evaluation bodies.&nbsp;&nbsp;&nbsp;Barbara was Chief Executive, Quality Health New Zealand (New Zealand Council on Healthcare Standards) from1995 – 2002.&nbsp;&nbsp;&nbsp;She is currently an elected Greater Wellington Regional Councillor – Deputy Chair and Chair of the Strategy and Policy Committee and is Chair of the&nbsp;Whitireia&nbsp;Park Board. She was previously an elected Board Member of the Capital &amp; Coast District Health Board.&nbsp;&nbsp;&nbsp;She was awarded an&nbsp;ISQua&nbsp;Distinguished Service Award in Copenhagen in 2008. 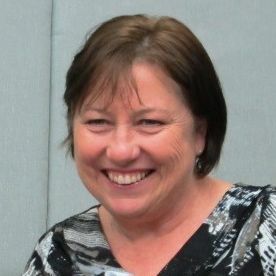 Cathy is a Co-Director of The DAA Group, a leading assessment and evaluation agency in New Zealand. Cathy has extensive assessment and quality management experience in most sectors of health. She has managed a quality auditing and accreditation agency for more than twenty years and has in-depth expertise in certification, accreditation, contracts and issues-based assessments. Cathy is acknowledged as being fair and non-threatening in her approach. 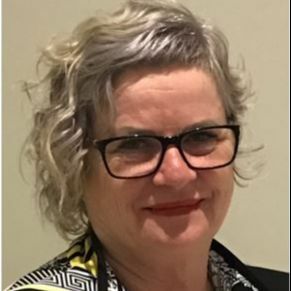 Cathy has wide and in-depth experience in health and disability services, having worked in the health sector as a registered nurse in New Zealand, Australia and in the United Kingdom. 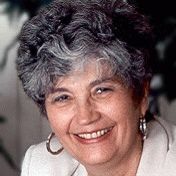 Ms. Heidemann was the Executive Director of the Canadian Council of Health Services Accreditation (CCHSA) until retiring, a position which she held for eleven years. Prior to that, she held senior positions in health planning and palliative care. 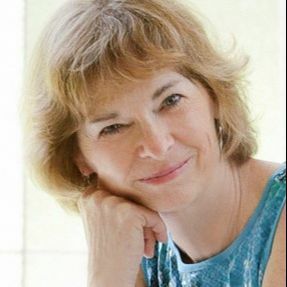 She has been Chair of the Boards of the Ottawa Regional District Health Council, the Ontario Hospital Association, the Canadian Healthcare Association and the International Society for Quality in Health Care (ISQua). 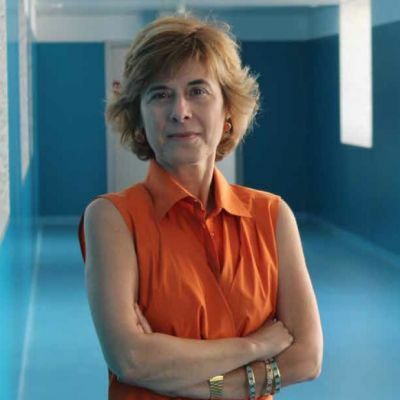 Ms. Heidemann has also held board positions with the national accreditation agencies in France and Ireland. Most recently Ms. Heidemann has also worked as an International Consultant for the World Health Organization (WHO) and the World Bank in the areas of Health Care Accreditation, Quality and Evaluation. Ms. Heidemann served on the Canadian Patient Safety Institute Initiative and was a founding steering committee member representing the CCHSA. Currently, Ms. Heidemann is the Co-Chair of CHLNet. 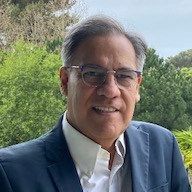 Brian provides senior counsel to boards and management on governance practices, strategic planning, performance monitoring, and stakeholder relationships with his particular expertise in health services accreditation programs both nationally and internationally. His professional career has been in the health industry and has included positions at both government department and senior health service management levels. His roles have encompassed operational management of health services and facilities, particularly teaching and referral centres. As Chief Executive he led the Australian Council on Healthcare Standards (ACHS) from 2000 to 2013. During his tenure the organisation successfully expanded both the range and nature of its services, initiated its collaborative research agenda and commenced its international business are. 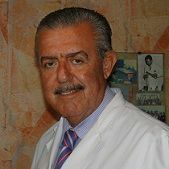 He was appointed a Life Member of the International Society for Quality in Health Care (ISQua) in 2010 in recognition of his contribution to the promotion of quality and safety through the society’s international accreditation program. Physician, graduated in 2002, Medical Residence in Gynecology and Obstetrics, Post Graduated in Hospital and Health services’ management, and Master Degreed in Collective Health. 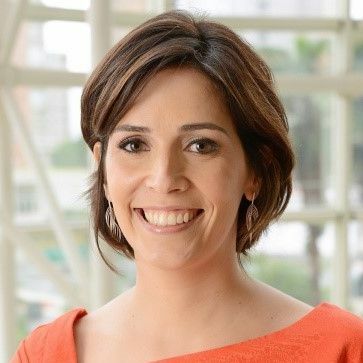 Four years as a surveyor of the Brazilian Accreditation System - ONA, two and a half years working as the CEO of Brazilian Accreditation System – ONA. Since January 2017 working for Guarulhos Municipalty – Health secretary - as the Planning and Regulation Department Director. 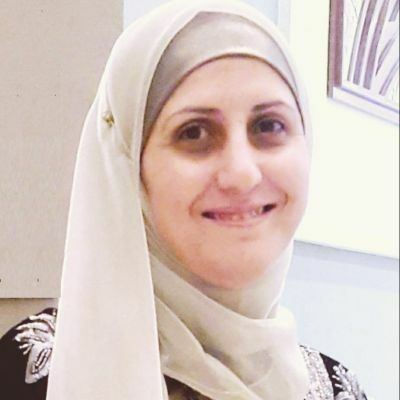 Rabab Diab is the Deputy Chief Executive Officer of the Health Care Accreditation Council and the Director of the Education and Consultation Department. She has been with HCAC for more than 7 years to date and has a life time focus on quality improvement and patient safety issues. Ms. Diab has been leading the Education and Consultation arm of HCAC in developing and administering products needed for the improvement of quality in health care settings at all levels. She designs, develops and administers trainings as well as plans and executes strategies for quality improvement. She has been instrumental in designing and improving the HCAC flagship courses and reaped successes in advancing the health care workforce buy in and skills for accreditation compliance. Ms Diab is also a certified consultant and certified surveyor with HCAC. 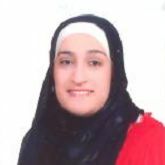 Prior to joining HCAC, Ms. Diab was a freelance healthcare quality consultant, where she provided services in Jordan and the Arab region for healthcare institutions to build quality management systems, prepare for accreditation, and develop the capacity of the healthcare professionals in quality management and performance improvement. Ms. Diab has a Master’s Degree in Nursing Education and a Bachelor of Science degree in Nursing from the University of Jordan. She is a member of the Jordan Society of Quality and • Jordan Syndicate for Nurses and Midwives. She has several certifications from institutions such as CPHQ from NAHQ, and ISQua fellowship. 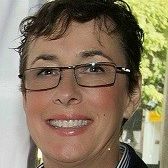 Conny&nbsp;worked at Accreditation Canada/ACI for 13 years in various roles including&nbsp;oversight&nbsp;of&nbsp;the client service for international clients in 25 countries worldwide. ACI clients range from individual healthcare reorganizations such as hospitals, laboratories, and ambulatory centres to large multidimensional projects involving establishment of national healthcare assessment systems to allow a country to operate their own external assessment program.&nbsp;&nbsp;&nbsp;Conny&nbsp;has also&nbsp;frequently participated&nbsp;in international missions to assess and report upon healthcare organizations and systems; and thus understands the international landscape. She has worked in diverse cultures while on surveys, during external assessments, and in education sessions. Conny has worked in accreditation for 13 years in roles encompassing direct client service, education and training, business development, marketing, and proposal development.&nbsp;&nbsp;&nbsp;She has extensive experience in the operations of an accreditation organization; and has also led the accreditation process for healthcare organizations in her former positions.&nbsp;&nbsp;Conny has over 25 years’ experience in healthcare and accreditation and is a Registered&nbsp;Dietitian&nbsp;by profession. 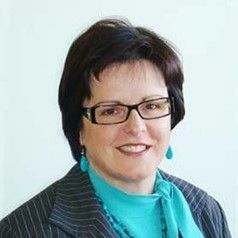 Linda O’Connor is the Executive Director of Customer Services and Development at the Australian Council on Healthcare Standards (ACHS). 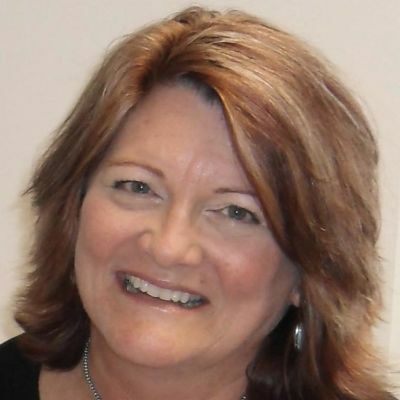 This role is responsible for standards and product development,&nbsp;customer services, contract management and the&nbsp;clinical indicator program.&nbsp;Linda has worked in healthcare for 25&nbsp;years, and is a Board Certified Professional in Healthcare Quality (CPHQ).&nbsp;&nbsp;Linda has both national and international experience. In the senior management team of Harvard Medical International, the international consulting arm of Harvard Medical School, she worked between Boston and Dubai to establish the&nbsp;Center&nbsp;for Healthcare Planning and Quality, Dubai Healthcare City. 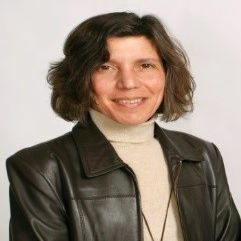 As Director&nbsp;of Quality, she led numerous healthcare education and quality improvement initiatives, including development of healthcare policy and quality standards, establishment of the healthcare accreditation program, and coordination of an international Quality Council.&nbsp;&nbsp;Linda has collaborated on projects with the Joint Commission, ISO and Accreditation Canada. Her clinical specialties include high risk obstetric ultrasound&nbsp;and diagnostic medical imaging, and she&nbsp;previously worked at&nbsp;the Mater Private Hospital Sydney. Linda was a member of the Commonwealth&nbsp;BreastScreen&nbsp;Australia Accreditation Review Committee. She&nbsp;holds a&nbsp;Masters&nbsp;Degree in&nbsp;Organisational Communication,&nbsp;is a graduate of the Australian Institute of&nbsp;Company Directors (GAICD), and is a member of the Harvard Club of Australia. I was consultant physician and Chief of medicine in Alice Ho&nbsp;Miu&nbsp;Ling&nbsp;Nethersole&nbsp;Hospital (AHMLNH) in 1988 which became one of the Hospital Authority (HA) hospitals when HA was established in 1991. I led the relocation of the AHMLNH Department of Medicine to Pamela&nbsp;Youde&nbsp;Nethersole&nbsp;Eastern Hospital (PYNEH) and its subsequent development (1993-2005) to serve the 0.6 million population of the Hong Kong East District. I assumed a second role as clinical coordinator in hospital and cluster management (2000-2005). I was also appointed a member of the HA Board (2003-2005), through which I was initiated into the multidimensional nature of healthcare risk management and the crucial role of team-optimality in the planning and implementation of healthcare delivery systems.&nbsp;&nbsp;I was Hospital Chief Executive (HCE) of Pamela&nbsp;Youde&nbsp;Nethersole&nbsp;Eastern Hospital (PYNEH) and Cluster Chief Executive (CCE) of the Hong Kong East Cluster (HKEC) of six hospitals from June 2005 to April 2011. I&nbsp;led&nbsp;my hospital and cluster in piloting numerous initiatives in quality and safety and demand management, a number of which have since been adopted by the whole of HA.&nbsp;&nbsp;In 2008, I actively contributed to the establishment of the Pilot Accreditation Scheme for public and private hospitals under the auspices of the Food &amp; Health Bureau, Hong Kong SAR Government, and PYNEH was also the first HA hospital to obtain full accreditation from the Australian Council on Healthcare Standards (ACHS) in September 2010.&nbsp;&nbsp;Since my retirement in 2011 I have resumed part-time clinical practice and I am also adjunct professor of The Jockey Club School of Public Health and Primary Care, The Chinese University of Hong Kong. I am presently Medical Superintendent of the 1350 bed university teaching super specialty hospital in South India. I look after the Medical Administration of the hospital and the educational wing, since this hospital has a medical college other than the hospital campus. I am Director of Quality &amp; Standards in the hospital and am responsible for all accreditations (Hospital, laboratory, academics and research wing). I am also Director of Infection Prevention. All clinical departments heads report to me and I am responsible for their clinical growth, volumes, patient care and outcomes. 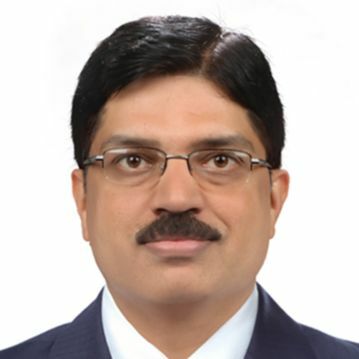 I am&nbsp;incharge&nbsp;of medico-legal cell and takes care of regulatory and licensing part for the institute and faculty.&nbsp;&nbsp;I am also Co-Chair of Research Committee at National Accreditation Board for Hospitals (NABH) and am Lead Assessor for NABH for the past 9 years. I am also Chairman Technical Committee of Association of Healthcare Providers of India (AHPI) and have drafted Entry level. Advanced level and Green Hospital Standards. I was part of technical Committee in NABH who drafted 3rd edition. I am national faculty for CQI and Clinical Audit workshop run by NABH. I am Ambassador from India to Society of Healthcare Epidemiology of America (SHEA) and have been awarded&nbsp;Heros' of Infection Control from Association of Professionals in Infection Control. I am also President of APIC-India chapter. I am an improvement Advisor from Institute of Healthcare Improvement (IHI) and have been guiding QI projects. I am technical experts to State govt projects on E Health, Antibiotic e &amp; Infection Control &amp; IMR. I am technical expert to WHO on regulatory &amp; licensing and am doing a project on Quality interventions in India. I am a member of Drug Safety Council (Govt of India) and Advisor on Injection Safety Board of India. I am country coordinator on Point Prevalence Surveillance and HAI Collaborative. Thaira is the Director, Accreditation Department in the Health Care Accreditation Council as of June 2011, the Arab region’s only independent not-for-profit organization that aims at improving the quality of health care services across the spectrum. Ms. Madi is responsible for overall management of HCAC accreditation and certification survey processes and surveyors, management of HCAC surveyor certification, and oversight of the planning, organizing, and improving the HCAC standards development. Ms. Madi is a surveyor with Accreditation Canada. Ms. Madi has over 25 years’ experience in health care industry with special expertise in management, staff development, and performance improvement. Since 2004, she has been extensively involved in healthcare quality and accreditation. She has brought her strong self-motivation and dynamic approach to surveys and standards development. She is skillful in coaching, teaching, counselling and building confidence in others. She has extensive experience in accreditation, standards, and surveyor methods that lends to her supportive and supervisory role towards HCAC surveyors.Prior to Joining the HCAC Ms. Madi led the quality improvement process at Jordan University Hospital. In that role, she had gained experience in developing and implementing quality programs, as well as in leading the performance improvement process and Patient Safety program. Ms. Madi was responsible for planning, directing, and administering internal operations to ensure the realization of quality, her consulting expertise includes operational assessment; patient safety assessment; medication management; infection prevention and control; environment of care; executive leadership and governing bodies; medical staff and senior executive dialogue; performance improvement; and the periodic performance review as management tool. Ms. Madi was also responsible for communicating, interpreting and led the implementation of JCI, HCAC, HACCP and ISO standards in the hospital. From early 2001 until the end of 2003, Ms. Madi had been assigned as Hospital Nursing Supervisor C shift. As the Hospital Nursing Supervisor, she was responsible for planning, directing, and administering internal operations to ensure providing high quality of nursing care during the night, and to tackle all issues arise pertinent nursing practice. From late 1991 until the end of 2002, Ms. Madi worked as a registered nurse (from junior to in charge)in medical ward, where she was responsible to provide care for different types of patients (oncology, nephrology, neurology and general medicine). 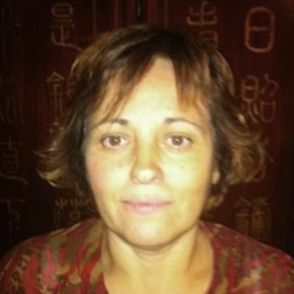 Fabienne Menot, Technical Advisor to the Director for the Improvement of Quality and Safety of Healthcare, joined HAS in 2005. Her business portfolio covers numerous aspects of improving the quality of healthcare in France; these include helping to develop the strategy and reference standards for certification in France, international cooperation outside Europe, and the certification of health websites. Fabienne is also in charge of the certification aspects of HAS’ accreditation by ISQUA. Before joining HAS, Fabienne Menot spent 10 years in the marketing departments of international groups specialising in food products, before she became interested in health and ran a private hospital for 12 years. She then set up a consultancy specialising in healthcare organisation mergers and restructuring. 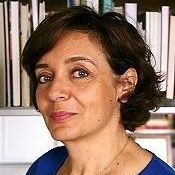 Fabienne Menot is also a management coach certified by Paris 8 University and, at HAS, trains French surveyors in team dynamics. I have over twenty-five years of diversified experience in service delivery (primarily in physical and psychosocial rehabilitation), risk management, and&nbsp;quality improvement (at professional and organizational levels, from local, regional,&nbsp;and international perspectives).&nbsp;&nbsp;One of the core aspects of the practice of occupational therapy, adopting a systems approach, drives my pursuit and enthusiasm for capacity-building.&nbsp;&nbsp;&nbsp;My clinical experience and public health training inform my contributions in relation to analysing determinants or root causes, processes, and outcomes / results.&nbsp;&nbsp;At all levels of stakeholders, I bring lessons learned from my managerial and&nbsp;consultancy&nbsp;experience. I view change management and challenges as&nbsp;privileged opportunities&nbsp;to facilitate or promote the uptake and application of recognized standards of excellence in decisions, operations, and partnerships. 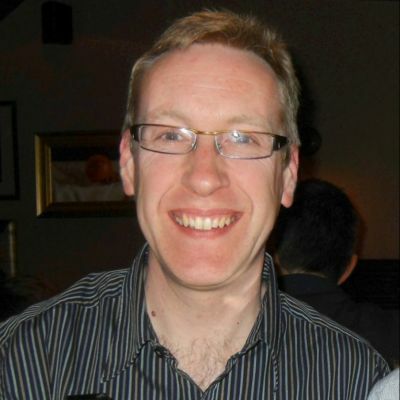 Steven is a Senior Programme Manager with Healthcare Improvement Scotland, leading the planning, management and delivery of national quality improvement programmes across the health sector in Scotland.&nbsp;Prior to this he was Head of Clinical Governance for South Glasgow University Hospitals for 10 years.&nbsp;&nbsp;&nbsp;Steven&nbsp;has a&nbsp;Master’s&nbsp;degree in Leadership for Health Quality Improvement from Birmingham University and an honorary research fellowship with Dundee University. He was awarded a Churchill Fellowship in 2015 to study how health information technology can be used to engage &amp; empower patients. Steven is a Member of the Chartered Management Institute. 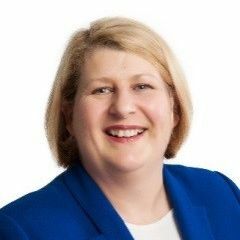 Kirsten’s role is to manage the surveyor&nbsp;workforce, the NSW/ACT State office’s accreditation&nbsp;program and quality assurance processes to ensure that&nbsp;strategic&nbsp;objectives are met. Kirsten manages the&nbsp;State&nbsp;office’s program of assessments of the performance of residential aged care homes and home care services. 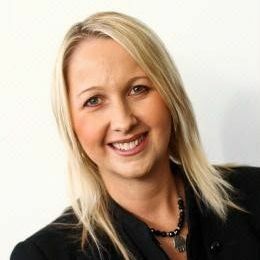 Kirsten leads and manages the recruitment, performance and development of the&nbsp;surveyor&nbsp;workforce. Kirsten makes decisions on compliance for&nbsp;residential&nbsp;aged care homes and home care services. This includes decisions about accreditation and the period of accreditation,&nbsp;monitoring services who have failed to meet the standards,&nbsp;reviewing visit programs to residential homes and home care services, making decisions about future visits and providing advice about case management. 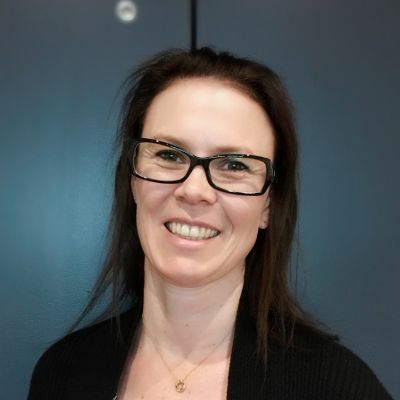 As a registered quality assessor Kirsten undertakes accreditation audits, announced and unannounced visits to aged care homes.&nbsp;Kirsten also undertakes quality review visits to home care services.&nbsp;&nbsp;&nbsp;&nbsp;Originally from New Zealand, Kirsten has a background in nursing and law. Kirsten has previously worked in acute care in secondary and tertiary care hospitals. 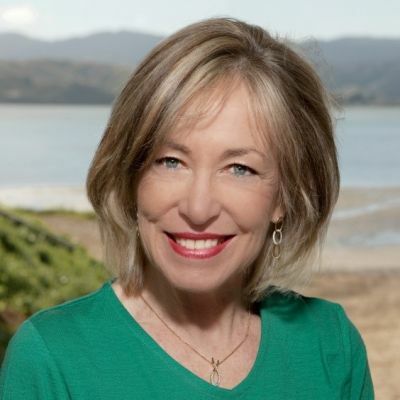 She has worked in private practice for two large law firms in the areas of public and environmental law and has also spent time working with the New Zealand Health and Disability Commissioner. 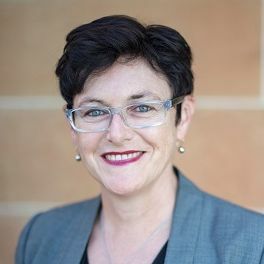 For 6 months in 2009 Kirsten was seconded to the Australian Commission on Safety and Quality in HealthCare where she supported the development of new health standards. I have worked for 30 years in a university affiliated hospital near Amsterdam ( 1981-2009) as a haematologist and for the last 2 and a half years of that period, as a manager for patient safety and quality of care. 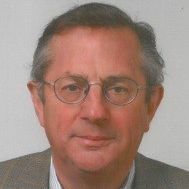 During my clinical work I was president of the Dutch Society of Internists (NIV) and a board member of the executive council of the European Federation of Internal Medicine (EFIM). As a board member of the Dutch Society of Medical Specialists I was responsible for the portfolio of quality, education and research. 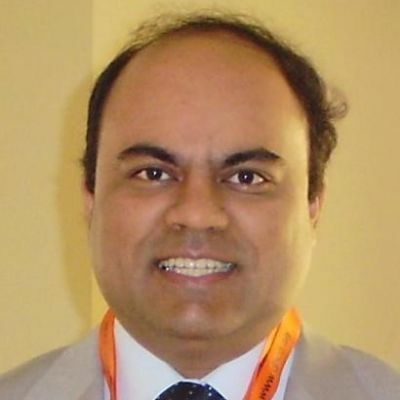 During this time (2000-2003) I was a board member of the executive council of NIAZ ( the Netherlands Institute of Accreditation for Care and Cure Institutions) From 2007 onwards I am working as a consultant in Healthcare with projects in several hospitals in the Netherlands. Since that time I am also a member of the boards of trustees of two hospitals in the Netherlands ( Maasstad Hospital in Rotterdam and the St Jans Gasthuis in Weert). I was send by the Dutch Government ( PUM) on missions to Bangladesh, Cameroon and Tanzania to advise Hospitals and primary care institutions. 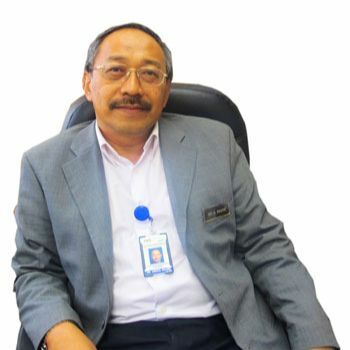 Dr. Marikar is currently the Chief Executive Officer of the Malaysian Society for Quality in Healthcare (MSQH) as well as a Lecturer in the Medical Faculty at the University of Putra, Malaysia. Dr. Marikar has also held the positions as Head of Quality and Standards Division, Ministry for Health in Malaysia as well as TQM Director of the King Fahad Military Hospital Jeddah, Saudi Arabia and consultant to the Medical Division of the Ministry of Defence, Saudi Arabia. 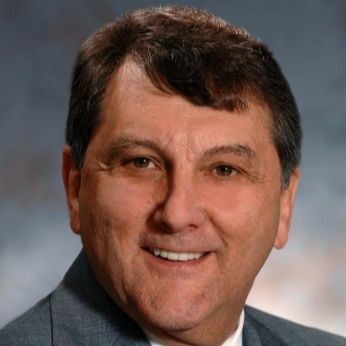 Paul vanOstenberg has over 30 years of international leadership in health care quality, patient safety, health care accreditation and standards development. 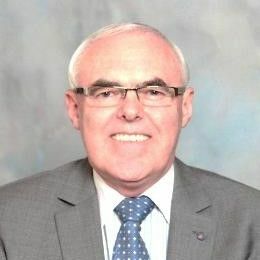 Most recently he held senior management positions at Joint Commission International (JCI) including Senior Advisor, Global Growth and Innovation and Vice President for International Accreditation, Standards, and Measurement and was the first Managing Director for the JCI Asia Pacific Office in Singapore, and the first Managing Director for the JCI European office. In addition to his international leadership for JCI, he worked on special projects for WHO, the US Treasury in Saudi Arabia, USAID in several Eastern European countries and in Africa, most notably Eritrea. 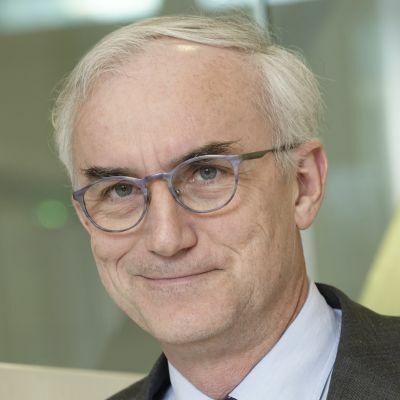 Along with the Pharmaccess foundation in the Netherlands and the Council on Health Services Accreditation of Southern Africa he helped develop the SafeCare program in resource poor countries in Sub Saharan Africa. 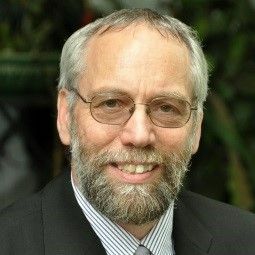 Paul is an exceptional educator and standards developer and has been recognized as such around the world including the 2015 Distinguished Service Award from the ISQua for this international standards work. Paul’s leadership has been synonymous with innovative strategic thinking, mentoring and compassionate team building. Dr. vanOstenberg earned a BA (Bachelor of Arts) from the University of South Florida, Tampa, Florida. He also received a DDS (Doctor of Dental Surgery) from the Medical College of Virginia, Richmond, Virginia and an MS (Masters in Gerontology and Health Administration) from the Virginia Commonwealth University, Richmond, Virginia. Edward Chappy is healthcare quality and accreditation consultant living in Jordan.&nbsp; &nbsp;During 2014, he helped Rwanda and Afghanistan develop their national five-year quality and accreditation policy and strategy and advised the Central Board for Accreditation of Healthcare Institutions (CBAHI), the national accreditation agency in Saudi Arabia, with strategic planning and developing a strategy to link health facility licensure and accreditation. From 2005 to 2013 Ed was the head of the Jordan Healthcare Accreditation Project (JHAP) and was instrumental in establishing the national healthcare accreditation agency in Jordan.&nbsp; Prior to coming to Jordan Ed worked in several countries implementing quality systems in private hospitals in Eritrea, Indonesia, Pakistan, Turkey, and Saudi Arabia.&nbsp; &nbsp;Ed was the Chief Executive Officer (CEO) at private hospitals in Pakistan, Indonesia, &amp; Turkey and was responsible for commissioning 5 hospitals from the construction phase through operations. 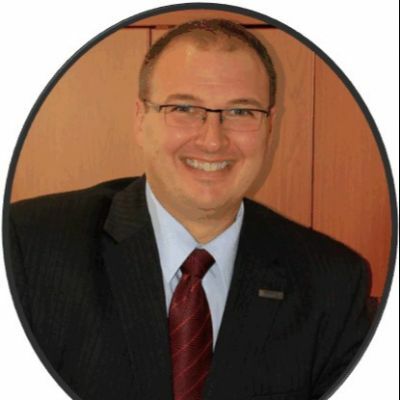 James A (Jim) Robblee is a cardiac anesthesiologist at the University of Ottawa Heart Institute in Ottawa Canada.&nbsp; He has been a member of the Senior Management team in the Heart Institute and Chair of the Finance Committee. He was Chief of the Division of Cardiac Anesthesiology and Critical Care Medicine for over 15 years. Jim has extensive experience in accreditation and external evaluation. He has surveyed for Accreditation Canada for 17 years and has done over 80 surveys in Canada. He has also surveyed internationally in Brazil, Saudi Arabia and Croatia. He was founding Chair of the Physician Advisory Committee for Accreditation Canada. 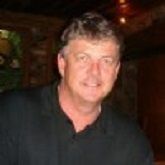 He has completed surveyor training for ISQua and has participated in 2 standards surveys. 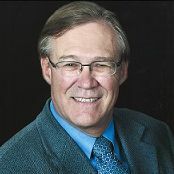 Jim is Chair of the Research Ethics Board at the University of Ottawa Heart Institute. He has a special interest in low-risk trials, comparative effectiveness trials and observational trials from large electronic databases. He is an expert research ethics advisor to the Institute for Cardiorespiratory Health of the Canadian Institutes of Health Research. Jim is a recognized expert in blood transfusion and utilization. He has conducted research, held peer reviewed grants and published extensively on topics related to blood transfusion. 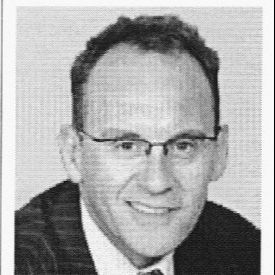 He played a leadership role on the National Blood Services Committee as an expert advisor and was a Board member of the Canada******. Jim has considerable experience in governance. He has completed the Governors Essentials Program and the Directors Educational Program offered by the Institute of Corporate Directors in Canada. He completed the ICD certification in 2009. He is a Governor of Algonquin College, a large community college in Ottawa, for 8 years and was Chair of the Board for 2 years. He is a Director of the Canadian Nurses Foundation and was Chair for 1 year. As a Governor or Director he has been a member of Audit and Risk Management Committees, Academic and Student Affairs Committees, Quality Committees and Executive Committees. 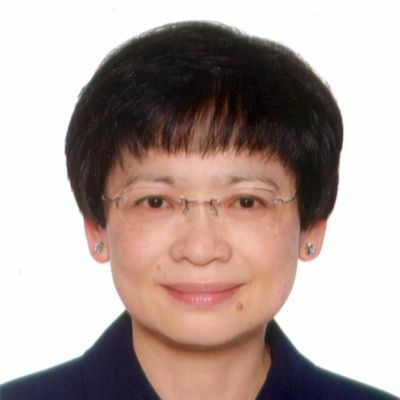 Dr Low is Executive Director Corporate &amp; Surveyor Workforce of the Australian Council on Healthcare Standards (ACHS). Her role involves strategic development and operationalization of healthcare accreditation systems with responsibility for strategy and management of financial management, information technology, corporate and human resources, surveyor workforce, business analytics, business support services and organisation wide risk management. Dr Low’s qualifications include: MBA, Diploma AICD and PhD. Her doctorate specialisation with the University of New South Wales Faculty of Medicine was in public health and community medicine. Dr Low is a Visiting Fellow at the University of New South Wales Australia, Macquarie University, Visiting Guest Lecturer at University of Technology Sydney - Faculty of Health, Fellow of the AICD and Associate Fellow of the Australasian College of Health Service Management. She is a member of the ISQua Accreditation Council and has led accreditation survey teams for ISQua. IKAS, The Danish Institute for Quality and Accreditation in Healthcare, develops, plans and runs the Danish accreditation programme for healthcare providers, called the Danish Healthcare Quality Programme (abbreviated: DDKM, referring to the name of the programme in Danish).IKAS is an independent institution financed partially by public means, while private clients cover the costs related to their accreditation. It was established in 2005 and is supervised by a board of directors, including representatives from the Danish Health Authority, Danish Regions, the Ministry of Interior and Health, Local Government Denmark, The Association of Danish Pharmacies, and The Danish Chamber of Commerce, representing private hospitals. 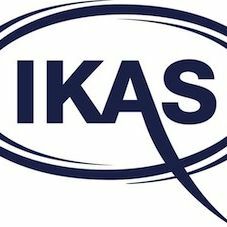 The first accreditation surveys were conducted in late 2009 in pharmacies and 2010 in hospitals.IKAS offers a range of accreditation programmes, tailored for private hospitals, community pharmacies, community health care, primary care physicians (general practice), specialist physicians practicing outside of a hospital setting and chiropractors. Programmes will be launched for other out-of-hospital based healthcare practitioners over the next years.A new accreditation programme is developed, when the parties involved in providing publically financed healthcare in the sector in question have made the decision to launch such a programme and have agreed on the overall framework, including the economic framework. As an example, the programme for general practitioners was launched based on a clause in the agreement between the Organisation of General Practitioners in Denmark and the Danish Regions, regulating provision of general primary care medicine. The programme for private hospitals enables the regions to fulfill their regulatory duty to ensure the quality of services provided at their expense; while access to public hospitals is free, citizens have a statutory right to free care in the private sector, if the public sector cannot deliver timely care. Claudia Jorgenson serves as the Director for Standards Development and Clinical Operations. In this position Ms. Jorgenson provides direction and leadership to work groups, task forces and committees participating in the development and re-development of accreditation standards, as well as oversight and management of the process for standards interpretations. In addition, she serves as faculty for surveyor and consultant training on standards and for field education programs.&nbsp;&nbsp;Ms. Jorgenson represents Joint Commission International in relationships with domestic and international accreditation bodies, and government agencies and provides advice and services to international organizations, such as WHO and the World Bank, and to national government agencies, such as Ministries of Health and national accreditation bodies in accreditation and standards matters.&nbsp;&nbsp;&nbsp;Ms. Jorgenson possesses significant clinical and operational experience in hospital-wide nursing operations including emergency, trauma, and critical care. Prior to taking the position with Joint Commission International, Ms. Jorgenson was Director of Professional Practice with the Emergency Nurses Association and previous to that, served as the Director of Nursing Operations for Swedish Covenant Hospital in Chicago. Other roles include, Senior Consultant&nbsp;with&nbsp;Procura&nbsp;Healthcare also in Chicago and Clinical Manager of the Emergency Department with Advocate Health Care System in Oak Brook, Illinois.&nbsp;&nbsp;&nbsp;In addition, Ms Jorgenson has an extensive background in hospital and professional regulatory issues. She was appointed to the Illinois State Board of Nursing from 2000 through 2005 and in 1997 served on the Governor’s task force to examine the role and responsibilities of unlicensed assistive personnel. A Quality Management Systems Lead Auditor I worked for 11 years for a UK based Healthcare Accreditation Organisation. Duties involved leading teams of up to 11 peer review surveyors in surveys which lasted from 3 -6 days both in the UK and Europe. I was also responsible for: running surveyor training sessions; development of the Standards Programmes; co-design and testing of an online accreditation tool. During this time I was the acting Accreditation Manager for ISQua during the transition from Australia to Dublin. Prior to that I implemented ISO9001 in a UK hospital and maintained the ongoing certification for 4 years. Other recent work includes 5 years as an Accreditation Manager at ISQua, representing the British Standards Institute as a UK expert for ISO9001 quality management systems (in healthcare) on a CEN (European Committee for Standardization) task force of clinical representatives of EU countries with the remit of integrating risk management and quality into a standard for healthcare organisations EN15224. My role was to give technical advice and interpret the standard and ultimately act as editor. Following on from this I was the technical author for the BSI Publication PAS 1616:2016 Healthcare – Provision of clinical services – Specification. More recently I am advising organisations in setting up accred, writing standards and training surveyors. 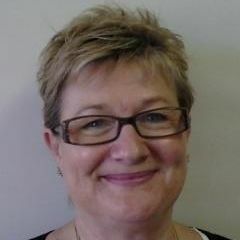 Triona works as an expert in the development of health and social care external evaluation systems with Fortune Quality Accreditation Services (FQAS).&amp;nbsp; Her expertise is in the development of international health and social care standards and external evaluation systems, especially accreditation. Triona has advised several governments on best practices for developing their National Accreditation schemes, including South Africa, Nigeria, Indonesia, Lebanon and New Zealand to name a few. She also has over 20 years’ Senior Management experience specialising in Corporate Governance and Human Resource management. 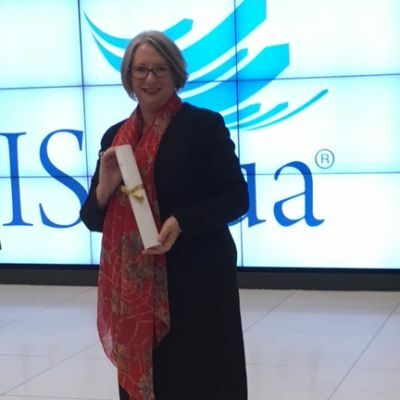 Before setting up FQAS Triona was the Deputy Chief Executive Officer of the International Society for Quality in Health Care (ISQua) where she led a number of their strategic goals including the International Accreditation and Events Programmes. Triona also continues to work with the World Health Organisation as an Expert Advisor on various Patient Safety initiatives - including EMRO’s Patient Safety Friendly Hospital Initiative and the National Quality Policy and Strategy Programme. As Director of Client Services with the Irish Health Services Accreditation Board, Triona was part of the senior executive to set up the Irish National Accreditation Programme. She was directly responsible for implementing accreditation in 90% of acute care hospitals in Ireland. This was followed by a senior position in HIQA were she led Irelands first national investigation into cancer misdiagnosis. She has held senior healthcare management positions in Ireland and internationally. Triona has taught on numerous Masters Programmes, specialising in healthcare quality and is currently working with Trinity College Dublin as a mentor to their MSc Nursing Students. She also works with the Sultan Qaboos University, Oman. She is an international speaker at numerous international conferences on all aspects of healthcare accreditation, patient safety and leadership. She is also the author of several peer reviewed articles published on health care standards, accreditation systems and patient centered care. Triona commenced her healthcare career as a nurse and midwife, specialising in emergency care and obtained her academic qualifications from Trinity College Dublin. When not travelling, she lives in Dublin. 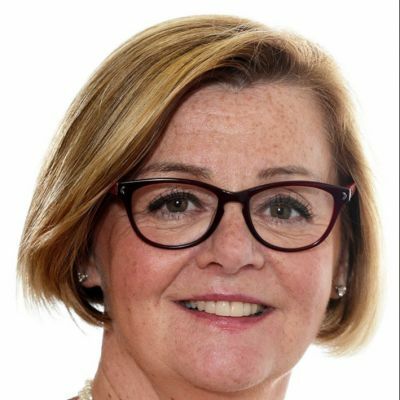 I&nbsp;started my professional activity&nbsp;as hospital administrator in the NHS in 1989&nbsp;and have experienced several senior&nbsp;hospital&nbsp;management positions.&nbsp;Deputy Director and Director of the&nbsp;National Institute for Quality in Health (IQS) (2000-2006). National coordinator of the Hospital Accreditation National Program launched in 1999&nbsp;within the joint with King’s Fund/HQS/CHKS till 2006.&nbsp;Member of the CHKS Accreditation Council and Awards Panel since 2006&nbsp;and&nbsp;surveyor of the CHKS Accreditation Programme.&nbsp;&nbsp;National coordinator of the European research project&nbsp;DUQuE – Deepening our Understanding of Quality Improvement in Europe (2010-2013).&nbsp;Adviser of the General Directorate&nbsp;of Health, Ministry of Health since&nbsp;2008.&nbsp;National representative on the&nbsp;OECD HCQI&nbsp;and member of the&nbsp;Patient Safety Expert Group, years 2003 to 2011.&nbsp;Invited Professor at Portuguese&nbsp;Catholic University, Porto,&nbsp;since 2002.&nbsp;Cofounder and Chair of the Portuguese Society for Health Quality since 2010 (IQS)&nbsp;Member of the&nbsp;governance&nbsp;bodies of&nbsp;Portuguese Hospital Administrators Association (APAH) since 2013.&nbsp;Distinguished Service Medal “Gold” from Ministry of Health, assigned by Health Ministry on the 25th May 2009. Jim DuRose is&nbsp;originally from upstate New York (near Syracuse)&nbsp;and&nbsp;has&nbsp;now&nbsp;lived in New Zealand for over&nbsp;30&nbsp;years.&nbsp; Over 20 years ago,&nbsp;Jim&nbsp;began his journey&nbsp;for contributing to the improvement of health services in the role of quality assessor / auditor.&nbsp;&nbsp;In 1995 he joined the Southern Regional Health Authority as a rest home (aged care) quality auditor.&nbsp; Responsibilities for various health quality improvement&nbsp;portfolios&nbsp;continued in the public sector until 2002.&nbsp;&nbsp;&nbsp;&nbsp;In&nbsp;October&nbsp;2002 Health and Disability Auditing New Zealand (HDANZ Ltd) was&nbsp;approved by the New Zealand Director General of Health&nbsp;as a&nbsp;designated auditing agency&nbsp;under the Health and Disability Services Safety Act 2001.&nbsp;&nbsp;As part of its designation requirements, HDANZ&nbsp;maintains&nbsp;3rd&nbsp;party&nbsp;accreditation&nbsp;with ISQua.&nbsp;&nbsp;&nbsp;&nbsp;HDANZ&nbsp;conducts audits with a wide range of health and disability services in accordance with&nbsp;relevant&nbsp;health and&nbsp;disability&nbsp;sector standards.&nbsp;&nbsp; This includes issuing&nbsp;certification&nbsp;for non safty Act providers (the&nbsp;Ministry&nbsp;of Health issues&nbsp;certificates&nbsp;for those under the Act).&nbsp; HDANZ also completes audits on behalf of funders in&nbsp;accordance&nbsp;with&nbsp;contractual&nbsp;agreements&nbsp;they have in place with providers.&nbsp;&nbsp;As Managing Director, Jim is responsible for HDANZ’s business development, marketing, operations, staff, stakeholder relations and he also undertakes a few audits to help maintain a direct understanding of the health and disability sector.&nbsp;With&nbsp;over&nbsp;20&nbsp;years experience in developing, managing, monitoring and evaluating services in the health and disability sector, Jim&nbsp;enjoys sharing knowledge and learning to help improve the services that are received by the public.&nbsp;&nbsp;This includes extensive knowledge of quality standards, assessment methodologies and case management. 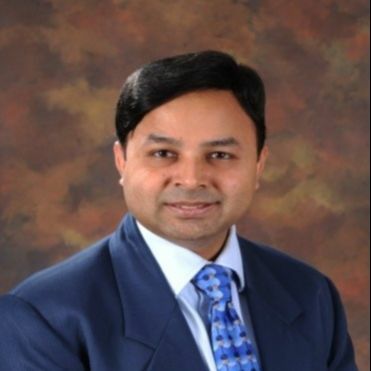 Dr Anand R is a Pulmonologist practicing in a 600 bed ry care hospital in India. 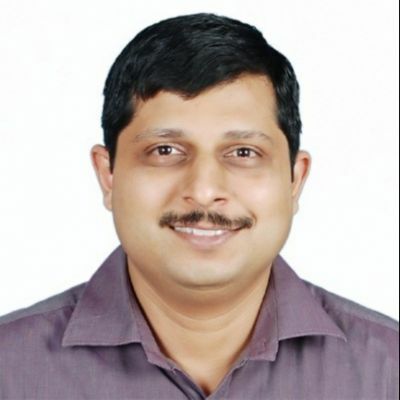 He currently is the Professor in the Department of Pulmonary Medicine at Kasturba Medical College, Mangalore, India which is one of the medical colleges in India. Anand has been involved in the implementation of quality management system in his organization. Currently he is a member of the Assessor Management Committee of National Accreditation Board for Hospital and Healthcare Providers [NABH]. 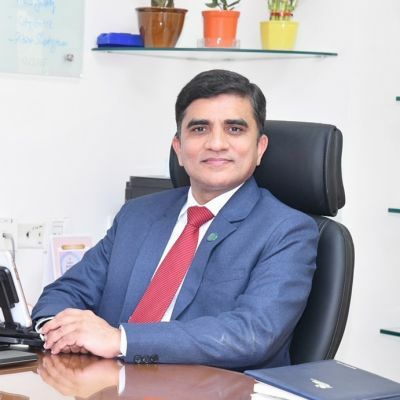 He was also a member of the Technical Committee of NABH and a Technical Expert for National Accreditation Board for Certifying Bodies of India which is the accrediting body for various certifying bodies in India. Anand has been Assessor and Principal Assessor for NABH since 2007 and in these capacities has performed about 50 assessments. Anand has participated as faculty in various training programmes and delivered guest talks on various quality related topics. Served in the Indian Armed Forces from October 1979 to December 2017. Served in the Indian Army in various appointments and finally superannuated as Director General of Medical Services (Air Force). One of the founder members and Chairman of the Technical Committee and Chairman of the Accreditation Committee of National Accreditation Board for Hospitals and Health Care Providers. Principal Assessor for NABH since inception and an Assessor for ISQUA since 2012. Provided training to several medical and nursing professionals across India on patient safety, Quality in health care and Accreditation process and standards. Tricia has a background that includes management roles in quality, projects, operations, manager of intensive community mental health teams and senior lecturer at university. She is a registered nurse with a current practicing certificate and is also a qualified teacher. Tricia manages her own company which has been operating for over 12 years. Work includes consulting around strategic, business, quality and risk management; workforce development; project management; auditing of a range of health services (primary, secondary and tertiary services). Tricia completes over 150 days audit per year with examples of works in auditing and surveying as follows: • International surveyor for ISQua since 2010 with completion of desk-top surveys; validation of surveys; on site surveys. Tricia has been identified as the team leader on some surveys and provided leadership and mentoring. • Extensive audits against contracts and as part of the designated auditing programme in New Zealand. • Development and implementation of training packages for auditors/surveyors including training of auditors against approved New Zealand Qualifications Authority standards.&nbsp;Examples of other recent work completed includes the following: • Implementation of new social housing contracts to house chronically homeless people and sustain housing for people identified as having significant issues with housing. • Review of business intelligence tools for proposed implementation. • Leadership of mental health teams; • Development and course facilitation of training packages for the University of Auckland (NZ)). • Development of policies and procedures for health services. • Evaluation of pilot programmes, and • Development of clinical pathways. Tricia is part of a large international multicultural family. She loves the diversity and enjoys working with people from other nations to support growth and development. She is passionate about making a difference in healthcare and believes in supporting organisations to be innovative, strive for quality improvement within a philosophy of striving for excellence together. I have been a Surveyor in Australia for some 16 years specialising in General Practice Accreditation, but extending to health services in correctional centres, immigration detention centres and women health clinics. I have extensive experience in the writing of Standards, with the Royal Australian College of General Practitioners (RACGP) Standards for General Practice, After Hours Medical Deputising Services, Health Centres in Immigration Detention Centres. I carried out the piloting of all the Standards for the RACGP/AGPAL. I was appointed an Australian Expert on the implementation of Accreditation in General Practice with the Royal New Zealand College of General Practitioners (RNZGP PAAC). I have had extensive experience in the education, training, and presenting on Standards at conferences, seminars along with the training of Surveyors. In 2012 I led the merger (as Chair of QIP) between Australia’s four major primary care accreditation bodies: Quality In Practice; The Quality Improvement Council (QIC); Quality Improvement and Community Services Accreditation Inc. (QICSA); Quality Management Services (QMS). QIP’s establishment resulted in Australia’s most comprehensive accreditation business of which I am the inaugural Chair. 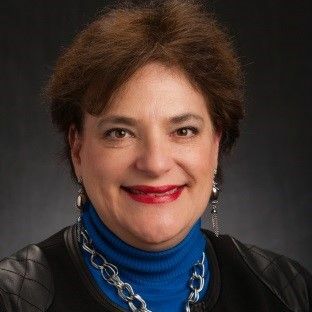 Danielle Dorschner is an executive healthcare professional with more than 30 years’ experience in health care at the local, national and international level. She has been newly appointed as the Executive Director of OHSNI – Ottawa-Baffin Nunavut Health Services, a not for profit organisation that coordinates specialist and tertiary health care for the residents of the Baffin Region of Nunavut referred to Ottawa for treatment. Before that, she was Executive Director at Accreditation Canada where she oversaw the implementation of the accreditation program and services for Canada. During her 16 years tenure at Accreditation Canada she has spoken at many conferences, events and participated on expert panels regarding accreditation. Danielle was with Accreditation Canada since September 2001 where she has worked as an accreditation specialist, an accounts specialist and Director of Client Services, Senior Director of Programs and Client Engagement and Executive Director, Canadian Accreditation. Danielle is a certified Surveyor with the International Society for Quality in Health Care (ISQua). She is a Registered Nurse that obtained her Masters of Science in Nursing at l’Université de Montréal in 1992 and her Bachelor of Science in Nursing at Laurentian University in Sudbury in 1985. 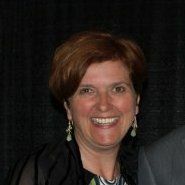 She is also an active volunteer with the board of the CMHA - Champlain East and served as Board president for 2 years. She also achieved the designation of ISQua fellow in October 2016. Ms. Helen Healey is the Senior Director of the Diagnostic Accreditation Program; she is responsible for providing leadership and management of the Diagnostic Accreditation Program. In Ms. Healey’s previous position of Director of Accreditation Services for the Diagnostic Program she was responsible for supporting 660 diagnostic facilities through the accreditation process and four year accreditation cycle. Ms. Healey also contributed to the overall development, maintenance and delivery of the accreditation programs. Ms. Healey came to the Diagnostic Accreditation Program from the Fraser Health Authority, where she held the position of Manager of Risk Management Systems. She provided leadership in the development of Fraser Health’s risk management, client relations and patient safety systems. Ms. Healey led facilitated the development of a quality review structure and processes and contributed to the foundation of an enterprise-wide approach to risk management. Ms. Healey has a B.Sc.N (Hon) from the University of British Columbia with a background in Trauma and Cardiac Intensive Care nursing. She also has varied experience in clinical research. Dr. B.K. Rana is the Founding CEO of Quality and Accreditation Institute (QAI) and former Director of NABH, Quality Council of India. 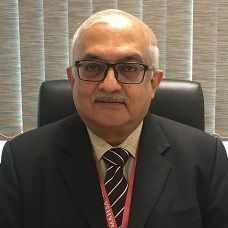 He served International Society for Quality in Health Care (ISQua) as elected Vice-Chairman- Accreditation Council (2008-2014) and Chairman- Accreditation Council (2014-2016). He was appointed Director on ISQua Board from 2014 to 2016. Concurrently, he served as President of Asian Society for Quality in Healthcare (ASQua) in 2011 and 12 and now serving as Director on its Board and Chairman- Technical Committee. He has many honours to his credit including an appointment as ‘ISQua Expert’. Because of his unparalleled mastery and knowledge, he took part in WHO’s International Steering Committee for Patient Safety and served also as External Consultant of World Health Organization (WHO) on setting hospital accreditation program. Alongside, he achieved rare distinction by becoming part of United Nations Framework Convention on Climate Change (UNFCCC) as an Expert/Assessor for Clean Development Mechanism (CDM). 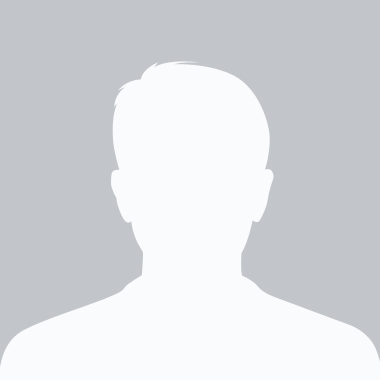 He sits on many national and international committees including ISO/ TC 210 WG1. His expertise on Standardisation, Quality, and Accreditation include establishing accreditation bodies [Laboratory (ISO/IEC 17011) and Healthcare Providers (ISQua)], External Quality Assessment Schemes (ISO/IEC 17043), Standard Development, Training Program Development, Implementation of the Requirements of ISO/IEC 17025, ISO 15189 and ISO/IEC 17043. 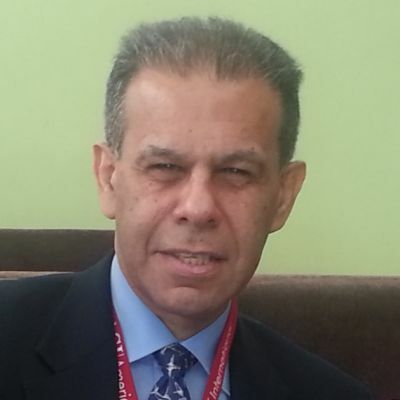 He is sought-after as a speaker and is published in several magazines on accreditation, quality improvement, patient safety, standards etc. Dr. Rana holds Ph.D in Biochemistry and Diploma in German. He also received Post Graduate Diploma in Hospital and Health Management. He has published nine research papers in international journals, contributed chapters in books and presented in several national and international conferences. Request to connect with this user?